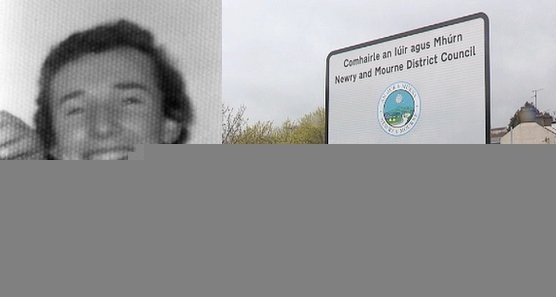 Newry SDLP Councillor Michael Savage has accused Sinn Fein of not being honest with the people of Ballybot and Barcroft over the future of McCreesh Park. And he insisted that the local community will be fully consulted on the future of the park when viable options that can be funded and benefit the people of the area are identified. Speaking to Newry Times, Councillor Savage said, “Anyone who I have worked for and been in contact with in the Ballybot and Barcroft area know that I have been open and honest with them about the future of the park. “Contrary to what Cllr Kimmins believes, I have knocked the doors in the area and provided residents with an update on the park and had many doorstep discussions with residents on the future of play provision in the area. I was open and honest with them about the process and I have remained true to that. “Cllr Kimmins was involved at every stage of this process when the AHC Committee embarked on the process of carrying out the audit on the future of play parks in the area with PlayBoard. She was fully aware that the committee, that she chaired at the start of this process last year, eventually recommended that McCreesh Park be identified as a surplus asset,” he insisted. Councillor Savage continued, “We have agreed to seek expressions of interest from Government Departments to see if they can come up with schemes for the park that are a benefit to the local community under the D1 process. These expressions of interest would be viable sustainable projects as they would be funded. “During this process, the local community will be asked to give their views on the options available and if the Council and the community believe any of the proposals are a good fit then we will progress them. “There will be community input throughout this process and to say there will not be and brand this exercise as some sort of sell-off is manipulating the truth and putting party politics ahead of the genuine needs and wishes of the local community. “Only at the end of the D1 Process when there has been full community input will Council have to make a decision if it wants to support any of the options. “This process will ensure that schemes that come forward are not fantasy projects that will never see the light of day but projects that enhance the lives of the people of the Ballybot and Barcroft area, can be properly funded and meet the needs of the local community. “This issue is about the needs of the community and I am disappointed that Cllr Kimmins and her party have decided to play last-minute political party games to try and mask their involvement in and approval of this process at every step. This is too big an issue to play party politics with. We need to put the people before party.